SAT...FEB 5th FROM 1-3 P.M.
FRI & SAT...FEB 11th & 12th FROM 1-3P.M. 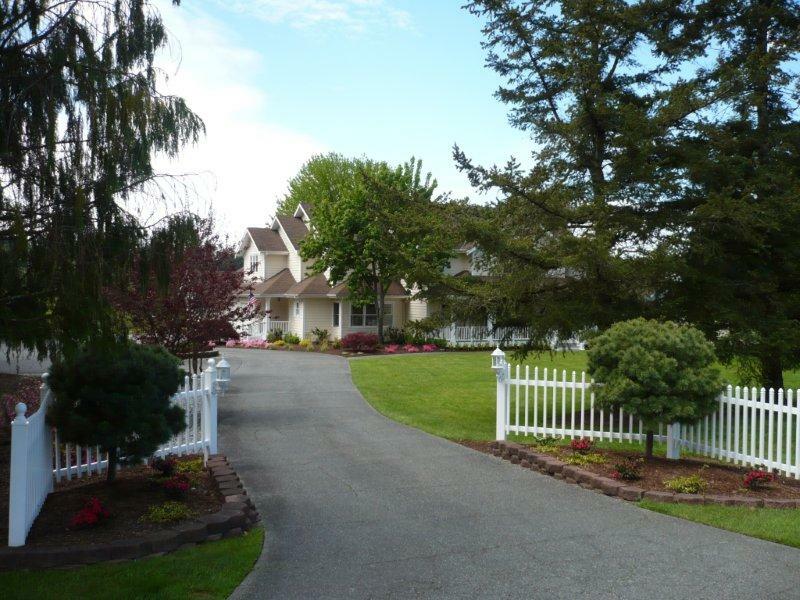 Spectacular Snohomish Luxury Estate - The list of amenities is too long to publish. There is no other home on the market as remarkable! The magnificant VIEW from this 5 acre estate is breath taking with a custom home strategically placed for comfort and relaxation. Oversized rooms, fantastic floor plan, oversized windows and 18' ceilings allow tons of natural lighting, a gourmet granite kitchen and dining room for any chef enthusiast. Don't miss out on all the extras. Come see us! Home to be sold to highest/best bidder on Saturday evening, February 12th. L on 131st, R on 84th, L on 139th, L on 80th, R on 137th to home on left. Q: Why is the home being sold by Round Robin Open Bid process? Q: How does the Round Robin Open Bidding work? A: The Round Robin Bidding Process is a buyer friendly approach that eliminates all the usual risks associated with a multiple bid home. On Friday & Saturday, there will be an open house from 1pm to 3pm to visually inspect the property and sign up to participate in the bidding as well as place an initial bid. The final bidding is held by phone on Saturday evening. Starting at 5 PM each bidder will receive a call informing him or her of the current bid and offering them the opportunity to increase their bid in order to proceed to the next round. Rounds will continue until only one bidder remains. Buyers will need to be available by phone Saturday evening to receive multiple phone calls. A: Come to the open house & visually inspect the home: interested? Fill in your name, phone number, and bid on the bid sheet. A: You need to visit and inspect the property during the open house. Complete the bid sheet so that you can be contacted Saturday evening. You will need to be available Saturday at 5 pm to participate in the Round Robin. You will need to be available to sign the contract by noon on Monday, if you are the winning bidder. If you are the highest bidder and you cannot comply, and alternative arrangements are not made prior to Saturday night, we may elect to call the next highest bidder and you may lose your chance to buy the home. The sellers may decline any and all bids not acceptable to them. A: You will need a small deposit Saturday evening only if you are the winning bidder (usually $5,000). Financing and pre-approval will be available for you the day of the auction if needed. Q: What happens to the deposit? A: If you are the successful, the deposit will be written in your contract as "earnest money" or a "good faith deposit" applied to the purchase price. A: No, you will receive a Deed and title insurance on the property. Any mortgages or debts against the property will be paid from the proceeds of the sale so that the home is completely free and clear. Q: Will the Real Estate Purchase Agreement allow for any contingencies? A: Yes, your offer will be contingent on you getting financing for the home and contingent on a satisfactory home inspection. A: Yes. We will tell anyone at anytime what the current best bid is. THE FOLLOWING IS VERY IMPORTANT! You MUST register your name, telephone number, email address and initial bid amount at one of the Open Houses. Only registered bidders can be included in the Final Round Robin Open Bid process and you MUST enter complete information...regardless of your bid amount, to be able to participate in the final bidding. Making a Bid at the Open House DOES NOT OBLIGATE you to buy the property...it only allows you to participate in the private telephone bidding process and established bidding order. The Round Robin Final Bid Process will begin at 5:00 PM via telephone. We will call all interested bidders who registered until there is one high bid, and no other bidder wishes to top it. All bids must be in a minimum of $1000 increments. If there is more that one bid at a level, the earlier bid will be honored. The caller will say, "Currently there are X number of bidders in this round and the current high bid is $___. Would you like to advance the bid?" You can take this opportunity to advance the bid and be included in the next round or decline and drop out from the bidding (again...there is no obligation). Once you drop out we thank you for participating and you will not be called again. Once down to the final two bids (sometimes 4) we will start to inquire as to your financing and any contingency terms (all cash, contingent on bank financing, approval letter, etc.). Sale is for the Highest and "BEST" Bid/Offer, Example: an all cash offer closing in less time may take precedence over a higher offer contingent on financing and taking longer to close or that is contingent on the sale of a house. Seller reserves the right to accept, reject or rescind any bids before the formal Washington State Real Estate contract process. A Sale and Bid is not finalized until a Washington State Residential Real Estate Contract is executed between Buyer and Seller and Earnest Deposit Funds have been submitted. We need to sell this home FAST so if you get pre-approved while at the home, you will get a great price on the home. If you are the winning party we will make arrangements to meet with you at the home or our office to execute a Washington State AS-IS Residential Real Estate Contract, earnest money deposit in the amount of $5,000 will be due at this time. All offers are As-Is, with no known defects, and right to inspect. Get detailed info packet on this home & get FREE email notification of ALL of the properties we offer on round robin bidding. We sell several homes with bids starting at 52% of market value, owned by EXTREMELY motivated sellers. Attn: Realtors - Feel confident, your commission is protected. If you send your buyers, just have them sign in with your name as "how did you find us". If your buyer is the successful high bidder, write up your regular NWMLS Offer forms, and your commission is paid same as any transaction.